A Quick Summary Of The Solution. Our computer-regulated system optimizes proprietary nutrients, water, temperature and gas levels to maximize production. Our energy saving, custom, full-spectrum LED light system produces the precise spectrums of light that each plant needs to expedite growth. The self-contained patent-pending aeroponic system is serviced by reservoirs with conditioned water and a special nutrient blend. The nutrient rich water gently “rains” down on the roots, recycled and recirculated. 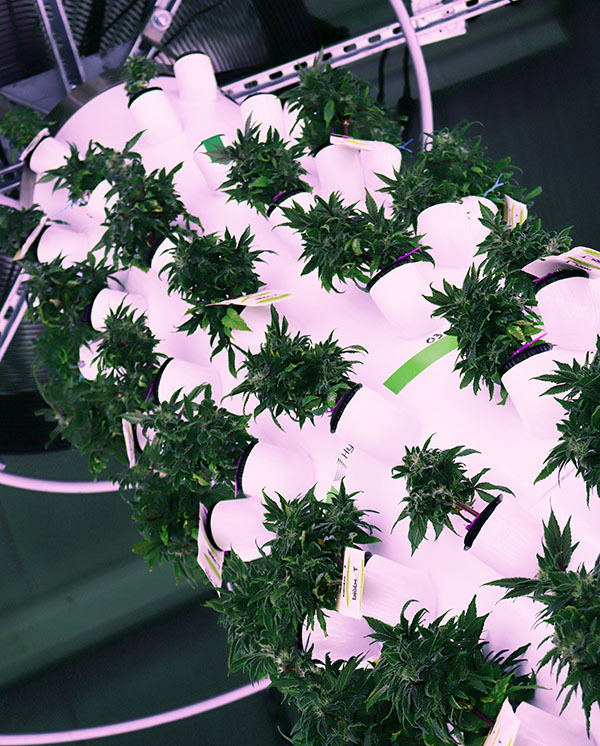 All functions are remotely monitored and programmed from the grow facility or the web-enabled, cloud-based dashboard. Depending on the strain, harvest levels can reach 32 lbs. per tower/harvest with a minimum of 6 harvests annually – three times what you grow now! There is so much more to this story, so contact us for more details!